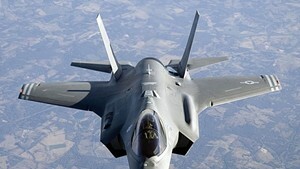 Air Force F-35 fighter, scheduled to replace Vermont Air National Guard's F-16s. Opponents of the U.S. Air Force's decision to base next-generation F-35 fighter planes at Burlington International Airport have taken their case to the U.S. Supreme Court. Activists have asked the high court to hear their appeal of a March Vermont Supreme Court ruling, which said the airport did not need to obtain state land use permits to base the new jets at the airport. The case is a long-shot to be argued in Washington, D.C.: The U.S. Supreme Court accepts about 1 percent of appeals annually. But James Dumont, the Bristol attorney who represents the anti-F-35 activists, said the appeal was worth filing. "We respectfully disagree with the [Vermont] Supreme Court's opinion, and if possible, we'd like the nine justices of the Supreme Court to disagree." The appeal was drafted by D.C. attorney David Frederick, along with a professor and students at the University of Texas School of Law. 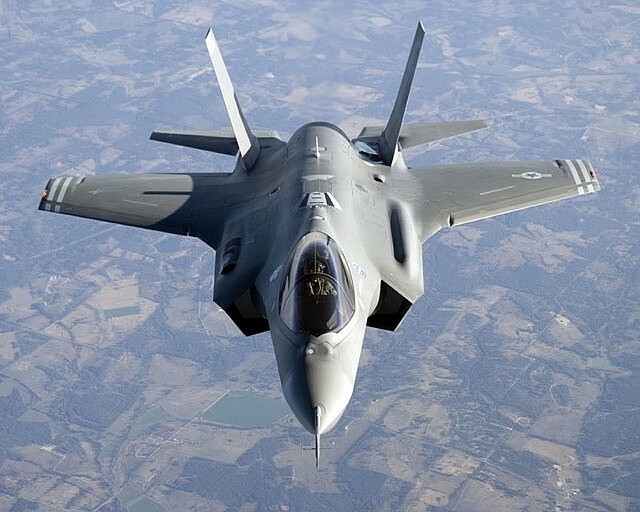 Opponents argued that the City of Burlington, which owns the airport, was required to obtain a state Act 250 permit to account for the noise impact of the 18 F-35s, which are scheduled to arrive in 2020. 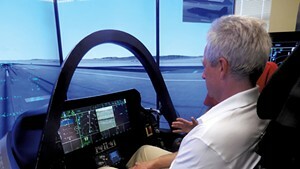 The F-35 is louder than the F-16s currently based at the airport, which is home to the Vermont Air National Guard. But the Vermont Supreme Court upheld lower court decisions that an Act 250 permit was not required: Federal regulations and the Federal Aviation Administration have jurisdiction over noise-related matters at the airport, and trumped any state concerns, the court ruled. "Any action to regulate a change in use to the F-35 would amount to an attempt to regulate noise and be preempted," the Vermont Supreme Court said in its ruling. 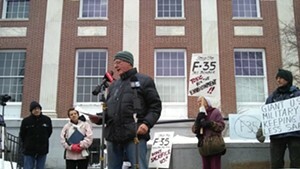 It is only one part of the activists' legal push to prevent the F-35s from arriving in Vermont. They have also sued the Air Force in U.S. District Court in Burlington, saying the Pentagon's environmental review of the basing decision was flawed. The City of Winooski, where hundreds of residents live directly under the planes' proposed flight path, has also joined that lawsuit after residents voted in March to side with the activists. The district court lawsuit is winding through the pre-trial phase, and most major filings are scheduled to be submitted by April.